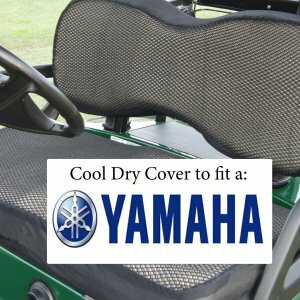 Check out our accessories for Carts! 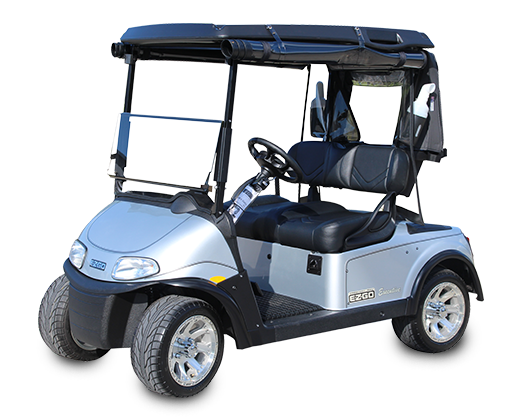 QLD Golf Carts being locally owned and operated is the authorized agent for the full range of American designed and built E-Z-GO electrical and petrol vehicles. Today, E-Z-GO boasts the largest sales and service network in the industry, with more factory branch locations and independent distributors than any other manufacturer. Perhaps that's why E-Z-GO is the #1 golf car in the world and a leading manufacturer of utility vehicles. Numerous innovations make the E-Z-GO RXV a “game changer” for course operators and golfers. The unprecedented AC drive motor, fail safe dual electric braking system and the industry first RXV 4 year warranty puts this cart at the top of any list. E-Z-GO maintains a passion for customer satisfaction. 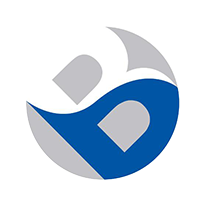 It’s why they have the largest sales and service network in the industry, with more factory branch locations and independent distributors than any other manufacturer. And it’s this dedication to excellence that has made E-Z-GO a leading global manufacturer of golf cars and utility vehicles. 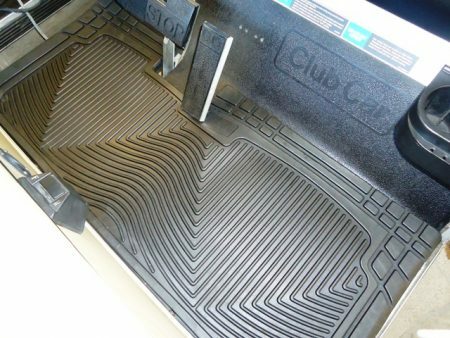 E-CAR Australasia was established in Queensland, Australia in 2005 and has grown to be one of the most respected names in the industry. The electric cars range they offer is based on high quality German engineering and manufactured by LvTong. 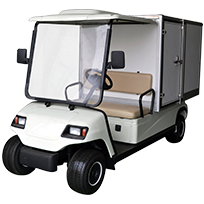 LvTong is one of Asia’s Premium Golf Cart Suppliers. Due to the direct connection to LvTong and the unique relationship that exists, E-Car Australasia is able to promote factory direct pricing and factory made customisation for commercial applications. 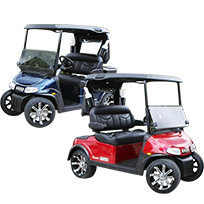 The electric cars (golf carts) include USA made Trojan Deep Cycle batteries; USA Curtis Speed Controllers and GRAZIANO Spine-less transaxles. The E-Car automotive style combined with German engineering make the E-Car a pleasure to drive. The standard range of E-Car Electric Carts come with indicators, horn, lighting kits and are available in a wide range of attractive colours. EMC vehicles/carts are made for the driver who carries a sense of distinction while pursuing a sense of finesse and excitement. Each of these EMC vehicles sport steel and alloy wheels, that perform above the average on tough terrains and courses. EMC engineers its vehicles for maximum performance by outfitting them with powerful shunt wound DC and AC motors. 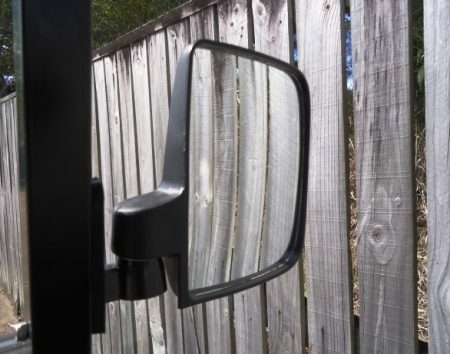 EMC is also a great investment as far as safety is considered thanks to 3 point seat belts and safety glass windshields with electric wipers and washers on all LSV vehicles. The EMC brand has recently been sold to Varley Group (Varley Electric Vehicles) and continues to operate out of West Gosford, NSW. The EMC brand has been operating successfully in Australia for over 12 years. All EMC vehicles are assembled at their West Gosford facility. Call our number and let’s talk about how you could be driving your own EMC vehicle today. Sell new and used carts. We also do trade-ins. 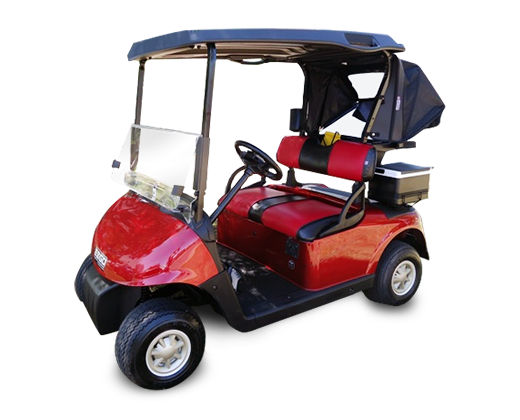 Build custom golf carts to suit any requirement. On-site Service and Repairs. We come to you! 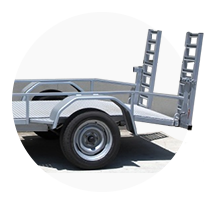 Build custom trailers to transport your golf cart. 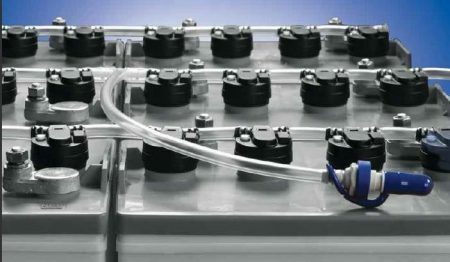 Australian distributor of Battery Watering Technologies kits and products. Hi Dan, Just want to say Thanks for the great service you provided, with the Alloy Wheel Package, they arrived on Friday. The picture of the Tempest Wheel you provided does not do them any justice, they look awesome on the buggie. Recently I purchased a used Club Car Precedent from Qld Golf Carts. 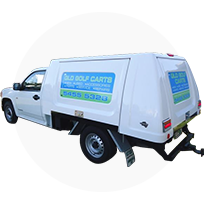 I was most impressed with Wendy and Dan’s service – they arranged to have the cart freighted to Mildura, Victoria for me. It arrived safe and sound and I was more than happy with my purchase. Wendy and Dan were a pleasure to deal with throughout the entire process. The custom design was fabricated and delivered exactly as the discussed. I am extremely happy with the quality and efficiency of the end product and it is a huge asset to our business. I have been associated with Dan and Wendy on a personal and business level for 30 years. In my dealings with them I have found them to be honest, respectful and reliable – but above all of great integrity. For any enquiries, please fill out the contact form. You may also get in touch with us using the contact details listed below.